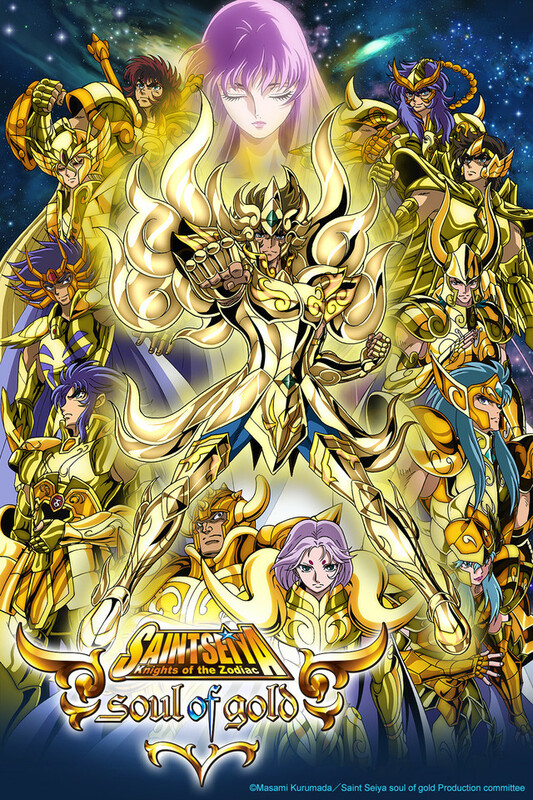 Im a really really big fan of saint seiya series and waited for this since so long, i really hope toei animation makes another series but with the main characters in it, i would really love to see Seiya and his friends fight against Zeus and his God Cloth soldiers on the Olympus!!! Keep it up! Yes, the animation and drawings were disappointing and sometimes appalling, and yes the story was very action-heavy and basic. But I was happy watching every second of this just because they're the original Gold Saints lol. Every second adds a bit to their personalities, which are still somewhat obscure in an interesting way. There were some nice moments of interaction, and they actually worked together. The overall serious tone true to the SS series is always welcome. This show is great! The plot is interesting and doesn't play into the rank formula that Saint Seiya uses often. The Gold Saints actually feel like they are powerful warriors and the enemies feel like a real threat instead of underdog bait. I feel that the Gold Saints are legitimately being challenged as opposed to going against the odds like the Bronze Saints in the original. There is also some mystery to the show, as the Gold Saints receive God Cloths even though there is no indication of their Cloths being revived using the blood of Athena as well as why they were resurrected in the first place. One may assume this is because of the Wailing Wall part of the Hades arc, but, from what I understand, a Cloth has to be blessed with Athena's blood before it can become a God Cloth. The voice acting is great as well! Hiroyuki Tanaka does a good job of differentiating the narrator and Leo Aiolia. Ryotaro Okiayu does a fantastic job as Saga and gives a unique performance that isn't his typical all-powerful booming voice archetype. Deathmask's short introduction before he rejoins the other Gold Saints is wonderful. It gives him a little extra character development and growth as well as shows that he isn't a complete scumbag. The only issues I see with this show is the animation. This is a web series with a smaller budget than a TV anime, so it has less quality than other shows. Like Sailor Moon Crystal, however, the home release version (i. e. DVD and Blu-ray) has shown improvements in the animation quality. Also, this show uses the anime designs, so those who dislike Capricorn Shura's helmet will be disappointed. Several of the Gold Saints are defeated after their big fights, making the show almost repeat the same mistake Lost Canvas did, but it's near the climax so it's not mistimed. Overall, very good show! I'd recommend especially to those who don't like Saint Seiya. I wish I could do halves. I wish I could do halves, because this is a 3.5 star show. People complain about the animation, but it's not super horrible compared to a lot of things on crunchyroll, including Saint Seiya related stuff, and I don't really have an issue with the story, because it's a CALL BACK to the old series, which some people refuse to acknowledge that the old series, even the HADES saga went pretty much like this story-wise.